When you are exploring the state of Queensland, don't forget to visit its capital, Brisbane. Situated 3 kilometres northwest of the central business district, visitors can find the exciting district of Kelvin Grove. Tourists looking for a jam-packed experience in Brisbane will be excited to learn of all its sights, including the Queen Street Mall, the Brisbane Convention and Exhibition Centre and Roma Street Parkland. If walls could speak, Miegunyah House Museum would be teeming with stories of a different era. Plan a visit and discover the local history. Check the rates at the Emporium Hotel and Spicers Balfour Hotel to be close by. If you've got some spare pennies in the piggy bank, drop by Emporium to purchase the essentials as well as a few luxuries! 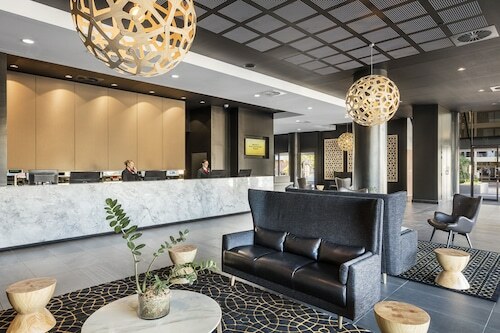 The Brisbane Riverview Hotel and Brisbane Marriott Hotel are your leading choices for this site. A fantastic Kelvin Grove cafe, Di Bella Coffee is well worth popping into. Relax with a magazine, treat yourself to a sweet pastry or just grab a coffee to take away. If a snack simply isn't going to cut it, go and flip through the menu at Riverside Hotel SouthBank. There's something for everyone at this well-patronised eatery. Have you ever noticed that you tend to get thirsty as the sun starts to set? Some drinks at Limes Hotel is an excellent way to finish off a rewarding day. Are you having trouble securing that perfect Kelvin Grove hotel room? It is worth considering the accommodation options in the Herston hotels guide and the Wotif Spring Hill hotels guide. The world is filled with wonderful places to visit, and Wotif can help you explore them all. So what are you waiting for? Stop daydreaming and start your Kelvin Grove vacation today! How Much is a Hotel Room in Kelvin Grove? 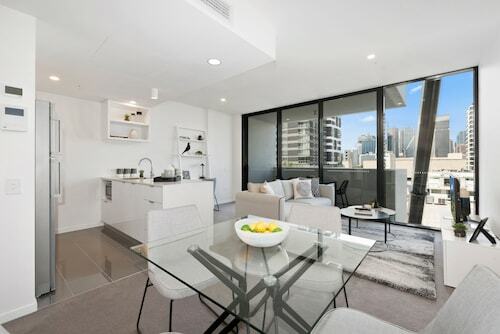 Hotels in Kelvin Grove start at AU$135 per night. Prices and availability subject to change. Additional terms may apply.